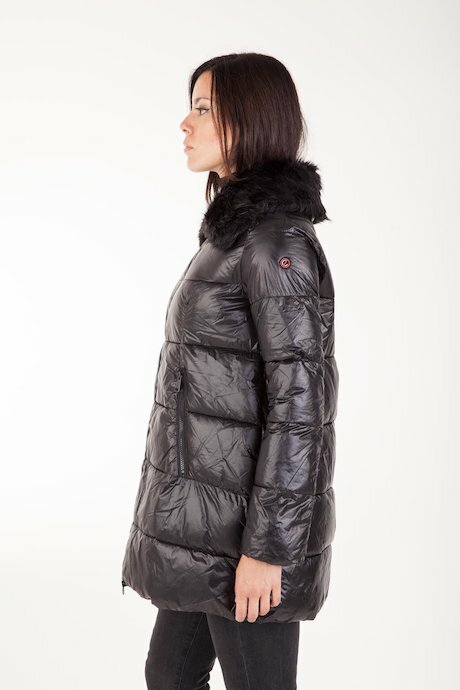 Oversized down jacket, high performance and high insulation down-like padding. Horizontal quilting. 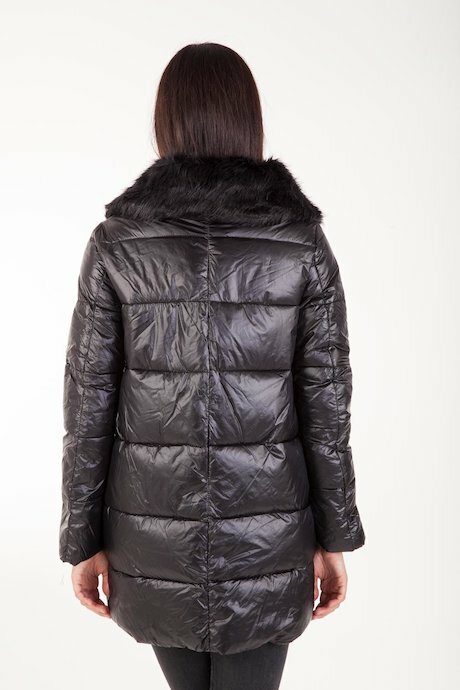 Detachable faux fur collar. Zip fastening, frontal pockets with zip. Check all detailed information.